Nominations for the Top 100 Hotels in Lagos organised by Travellers Magazine, West African’s foremost travel journal have emerged after a two month-long survey of Travellers and Travel trade practitioners in Nigeria. 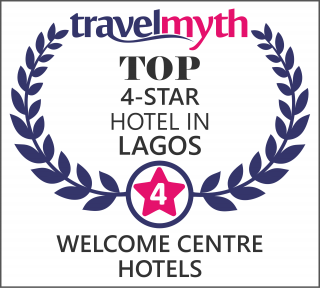 There are currently over 1000 hotels or resort type properties operating today in Lagos of which several household names were ranked as the top 25 hotels in Lagos Nigeria today such as The George in Ikoyi, Genesis Sojourner in Ikeja , Wheatbaker in Ikoyi, Fahrenheit Maison in Victoria Island, Ibis Hotel Toyin street, Stop Over Motels, The Best Western hotels, Welcome Centre Hotels near the Lagos Airport, Admiralty Hotel in Lekki, Oriental Hotel, 4 points by Sheraton, Eko Hotels, Southern Sun hotel, Sheraton Ikeja hotel, Federal Palace hotel, Radisson Blu, Bogobori Hotel Westwood, The Protea Hotels, Intercontinental and Golden Tulip Festac. 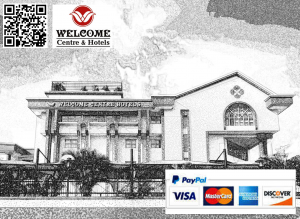 Welcome Centre Hotels and Stop Over Motels are the highest ranked indigenous managed hotels and rated the best in the Airport area. The survey for the top 100 hotels was done over 2 months through personal questionnaires, survey of Travellers, Hotel managers and secret vote by Travel Journalists in Lagos and online voting. The online voting was done via the largest travel news website in Africa www.atqnews.com. At the end of the survey, the hotels were now arranged according to the number of high ranks they had garnered. Eko Hotel emerged as the best overall ranked hotel in Lagos, while Intercontinental and Wheat Baker were second and third best ranked hotels respectively while other hotels on the top 25 list did well as number 2 and number 3 ranked hotels. The full results for the Top 100 hotel in Lagos would be published in the next edition of Travellers magazine, as well as its website, www.atqnews.com. It will also be shared on different social media platforms. Travellers Magazine would be presenting certificates to the Top 100 Hotels at the Hospitality Day on the 24th November 2015 at the 11th AKWAABA Travel Market at Eko Hotel. The presentation of certificate was a mark of recognition and to encourage the hotels to maintain their standards and also to encourage other hotels not so chosen to up their games in the hospitality business and improve their appeal to the public. Travellers Magazine started the Top 100 Hotels survey in 2001 and stopped the annual survey in 2006 when the then DG of NTDC Dr. Eborieme set up the national Hotel Classification committee to grade hotels in Nigeria. Because the Publisher of Travellers Mr. Ikechi Uko was co-opted as a member of the committee, it suspended its annual survey in order not to confuse the public with its survey. Travellers Magazine will be presenting certificates to the Top 100 Hotels at the Hospitality Day on the 24thNovember 2015 at the 11th AKWAABA Travel Market at Eko Hotel. The presentation of certificate is a mark of Recognition and to encourage the hotels to maintain their standards and also to encourage other hotels not so choosen to up their games in the hospitality business and improve their appeal to the public. Considering the new reality and the need to guide travellers and hotel guests aright Travellers decided to reintroduce its annual survey. 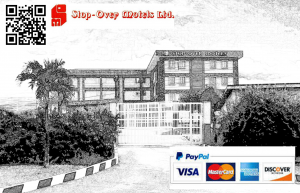 It carried out the survey as part of its social services to travellers in Nigeria. It is the first travel Magazine in West Africa Published since 1996.The journal serves as a one stop shop for airlines, Hotels, Restaurants, Tour operators, Travel Agents, State Tourism Board etc. Travellers’ magazine is set to be the in-house magazine of over 100 hotels in Nigeria and Ghana. Already Guests of Holiday Inn Airport hotel Accra and La Palm Royal Beach Hotel Accra and Southern Sun hotel Lagos will be served copies of Travellers for their Reading comfort. It is now an inflight magazine for Africa World Airlines that flies between Ghana and Nigeria and also within Ghana. AWA was voted as the best Domestic Airline in Ghana. AWA is the strategic partner to South African Airlines on the Accra/Washington DC route. AWA is expected to carry all SAA passengers between Nigeria and Ghana. This partnership provides a huge opportunity for visibility. It was the inflight magazine for Virgin Nigeria before it stopped operating.